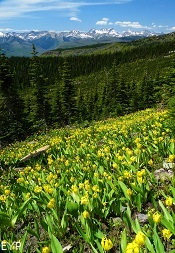 Highline Trail, Glacier National Park. 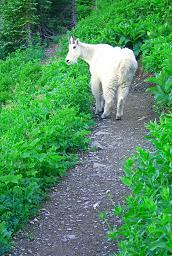 Visitor hiking along the famous Highline Trail Cliff in Glacier National Park. 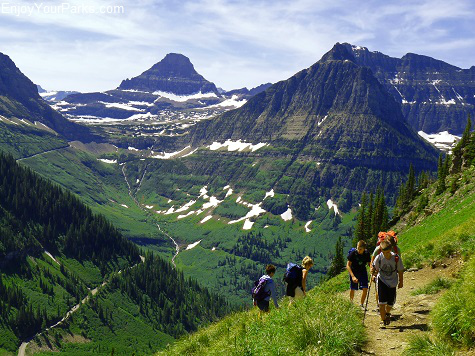 The Highline Trail in Glacier National Park begins at Logan Pass on the Going-to-the-Sun Road, and follows the west side of the Continental Divide northward for over 30 miles, and eventually ends in Canada! 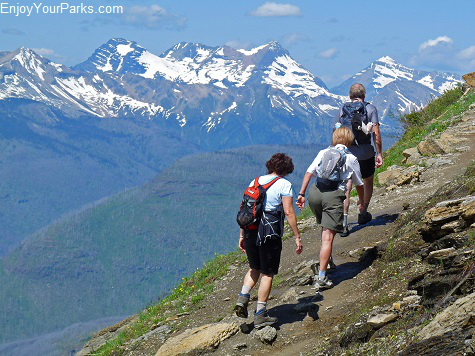 The Highline Trail is one of the main arteries that gives backpackers access to the remote northern backcountry of Glacier National Park. 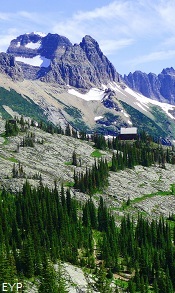 You will be walking along the west side of The Garden Wall, which basically runs from Logan Pass to the Granite Park Chalet. 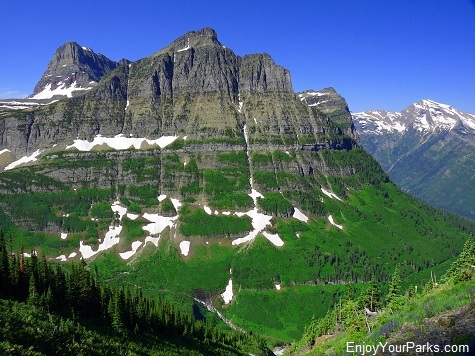 The top of the Garden Wall is the actual Continental Divide. 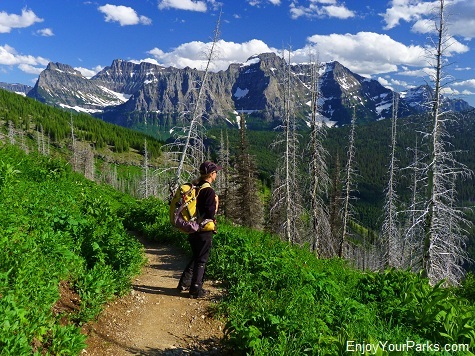 The Highline Trail offers many points of interest, such as the Granite Park Chalet and the Grinnell Glacier Overlook, and the Swiftcurrent Mountain Lookout, just to name a few. 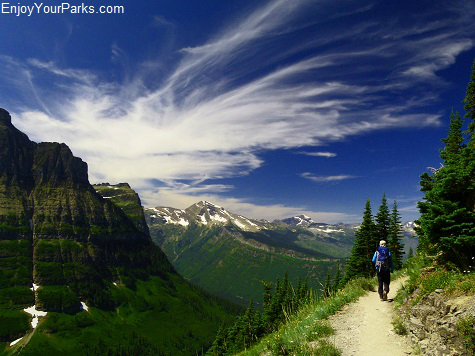 Whether you only walk up a few miles, or really go for it and visit the Granite Park Chalet and then take "The Loop Trail" down to the highway, the Highline Trail is one of the most famous and incredible hikes in Glacier National Park, and you will enjoy every step! 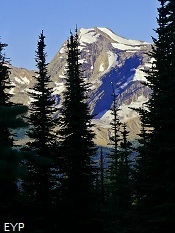 A classic view of Mount Oberlin from the Highline Trail in Glacier Park. 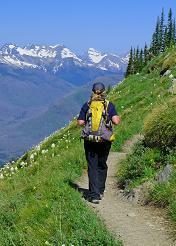 Concerning day hikes on the Highline Trail, there are two options you can take. 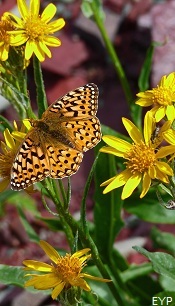 One option is to simply hike up the Highline Trail a few miles so you can enjoy the spectacular view and the amazing wildlife and flowers. 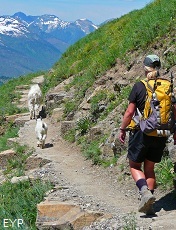 The trail is practically flat for the first view miles and it is really enjoyable! 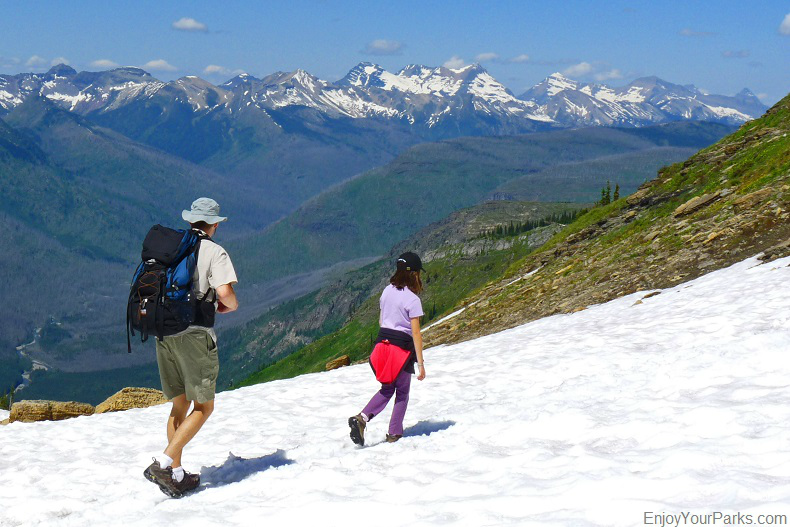 You can have lunch, and then enjoy the hike back. 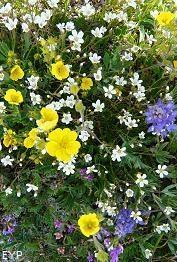 And by the way, the view from the Highline Trail completely changes on the way back, so it's equally enjoyable. 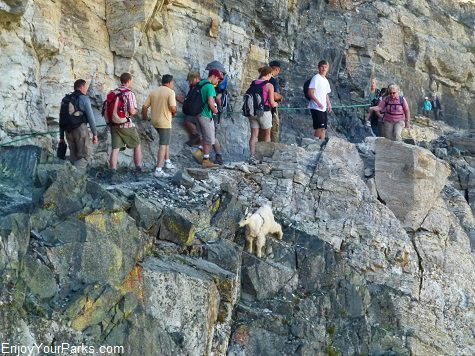 The Highline Trail Cliff in Glacier National Park is a favorite among visitors. 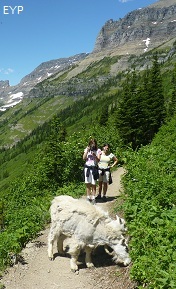 Hikers enjoying a great day on the Highline Trail in Glacier National Park. 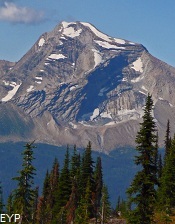 Haystack Butte is the dome-shaped mountain on the left side of the photo. 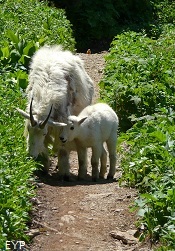 A popular place to have lunch on the Highline Trail is at Haystack Butte. 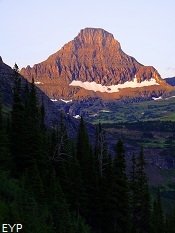 It's a saddle between Haystack Butte and Mount Gould, and it allows you to get a great view of the Northwest section of Glacier National Park. 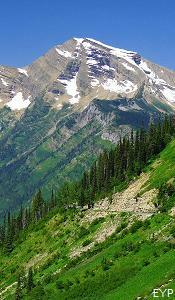 You will climb several long switchbacks up to this saddle. 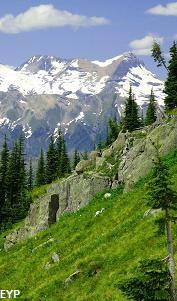 When you reach the saddle, Haystack Butte will be directly to your right, blocking the view to the west, and the towering west face of Mount Gould will be directly to your left. 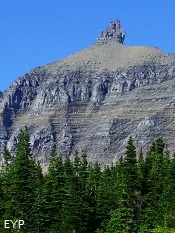 This saddle is about 4 miles from the Logan Pass parking lot. 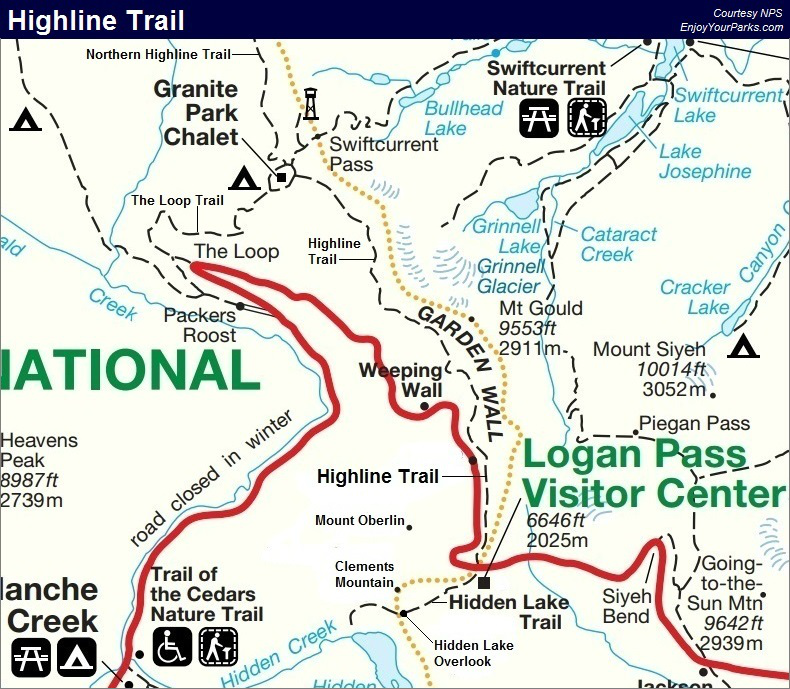 The other option for a Highline Trail day hike is to hike all the way to the historic Granite Park Chalet (7.6 miles), and then head down "The Loop Trail" (4 miles) which takes you to the west side of the Going-to-the-Sun Road. 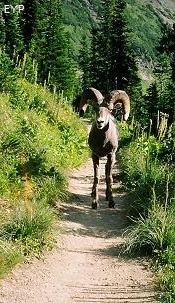 The trail meets the highway at a section known as "The Loop". 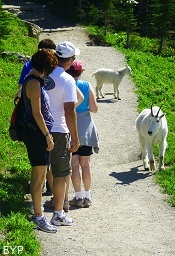 There is ample parking and bathrooms, and is also a shuttle stop. 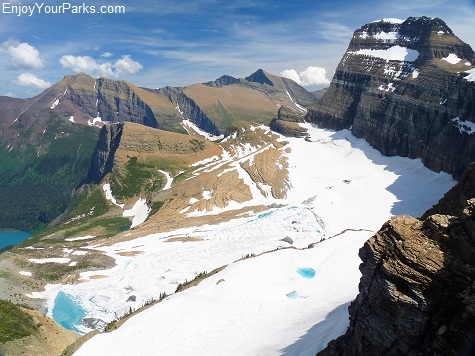 The Grinnell Glacier Overlook is located about a mile before you reach the Granite Park Chalet. 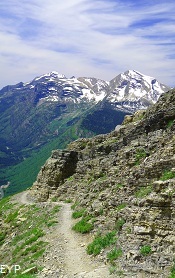 You will see the trail to the overlook (and an obvious sign) off to your right about 6.6 miles from the Logan Pass parking lot. 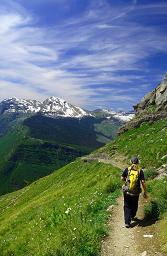 This trail is only about a mile in length, but climbs approximately 800 feet. 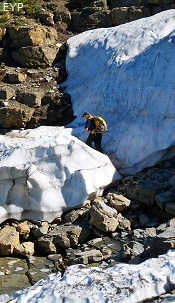 You need to be in relatively good shape to attempt this trail, but if you choose to take it, you will be greatly rewarded with a spectular view of Grinnell Glacier over a thousand feet below you. 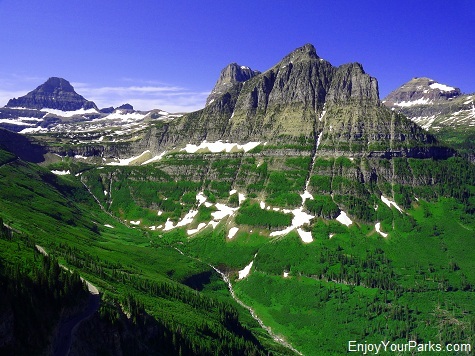 You are literally standing on top of the Garden Wall, which is also the Continental Divide! 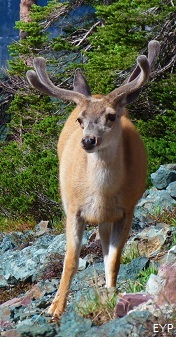 (See above photo). 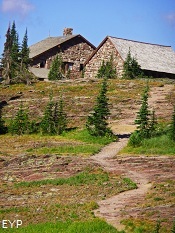 The historic Granite Park Chalet in Glacier National Park. 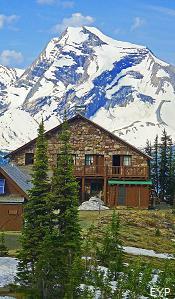 The Granite Park Chalet is an extremely famous icon of Glacier National Park, and is an absolute treat to visit. 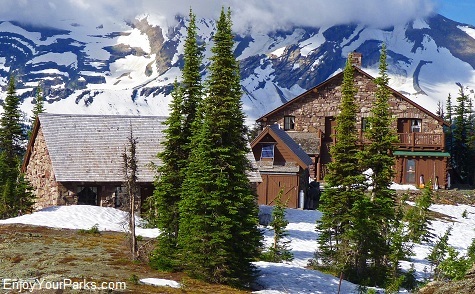 This is one of the original chalets build in the early nineteen hundreds where visitors would arrive on horseback to stay the night during their month long treks through Glacier National Park. 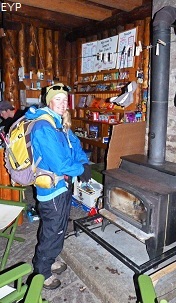 The Granite Park Chalet is 7.6 miles from the Logan Pass Parking Lot. 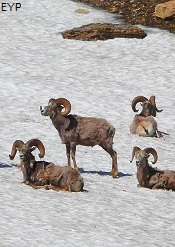 Click Here for more information on the Granite Park Chalet. 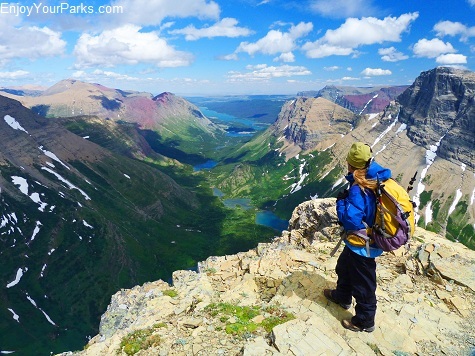 The view of the Swiftcurrent Valley from the summit of Swiftcurrent Mountain in Glacier National Park is incredible. 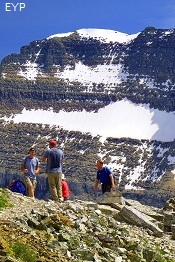 The Swiftcurrent Mountain Summit and Lookout is one of the only places in Glacier National Park where you can literally hike up a well established trail to the summit of a major mountain. 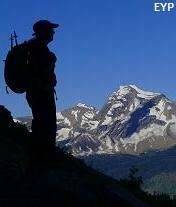 The views from this summit are awe-inspiring, and are very much worth the effort if you are in good physical condition. 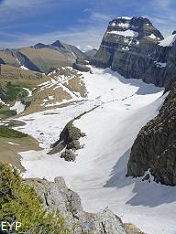 The 2.2 mile long trail begins about a mile beyond the Granite Park Chalet, and it climbs just over one thousand vertical feet via many broad switchbacks. 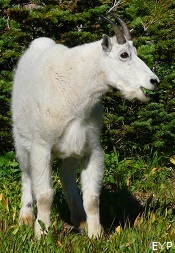 Click Here for more information on the Swiftcurrent Mountain. 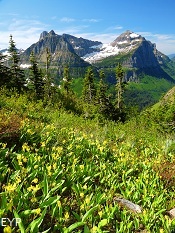 A view from "The Loop" Trail in Glacier National Park. 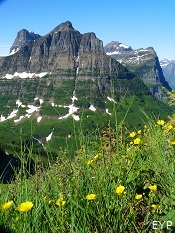 "The Loop" Trail is a four mile trail that connects the Granite Park Chalet with the Going To The Sun Road. 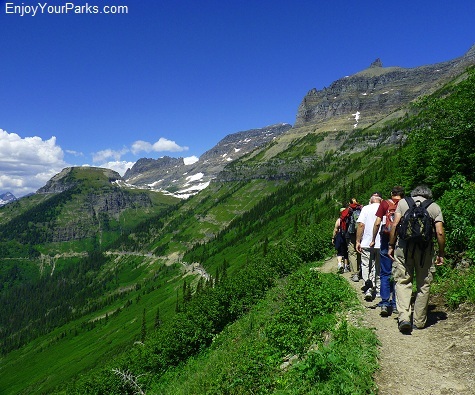 This is the trail you take to get down to the Sun Road once you've visited the Granite Park Chalet. 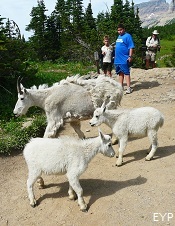 The trail drops about 2,800 vertical feet in elevation. 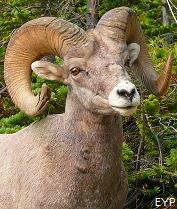 Click Here for more information on "The Loop" Trail. 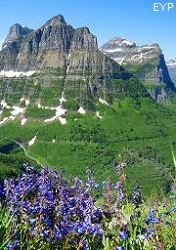 "The Loop" Shuttle Stop is many miles down the west side of the Going-to-the-Sun Road, so you will either have to get there before the last shuttle comes by to take you back up to Logan Pass, or what we recommend is park your car at "The Loop" in the morning, then take the shuttle up to Logan Pass, and then begin your hike along the Highline Trail. 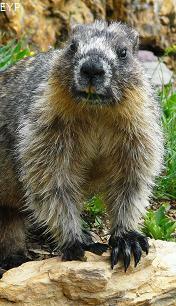 That way you're not worried all day about catching the shuttle. 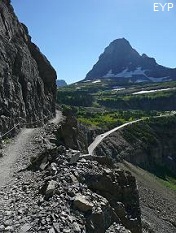 The Highline Trail starts at Logan Pass, and turns into the Northern Highline Trail at the Granite Park Chalet and ends at Goat Haunt Montana, 30 miles to the north of Logan Pass. 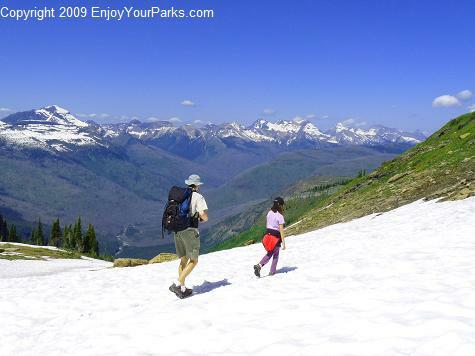 You will get to explore such famous places as Ahern Pass, Sue Lake Overlook, Fifty Mountain and Kootenai Lakes! 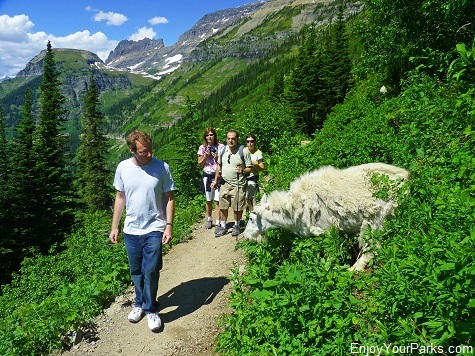 Click Here to learn about this amazing multi-day Glacier Park hiking adventure along the Northern Highline Trail. 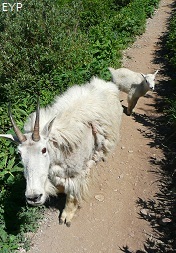 You will be sharing the Highline Trail with Mountain Goats. 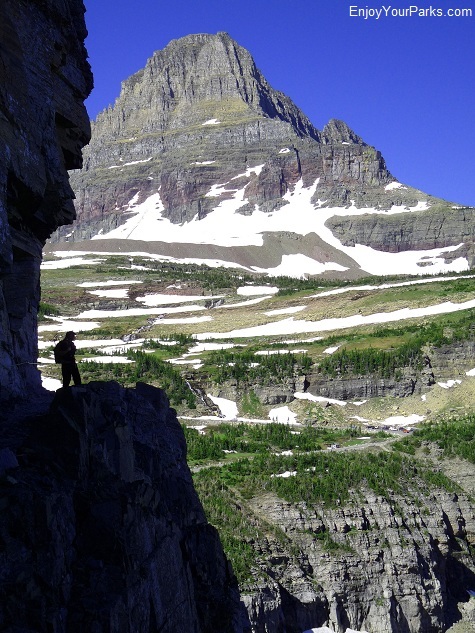 The views from the Highline Trail in Glacier National Park are absolutely awe-inspiring! 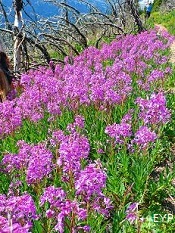 The view of Mount Oberlin from the Highline Trail is spectacular. 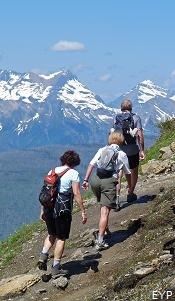 You will get a great view of Glacier National Park's Livingston Range while hiking the Highine Trail. 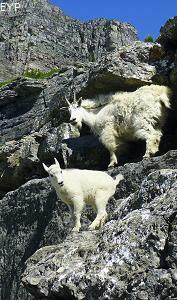 You will see plenty of mountain goats on your hike along the Highline Trail in Glacier National Park. 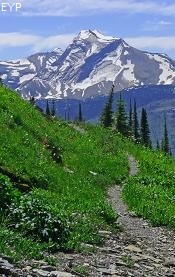 We wrote an E-Book called "The Ultimate Checklist" which gives you great suggestions on what to bring, what to wear, etc. 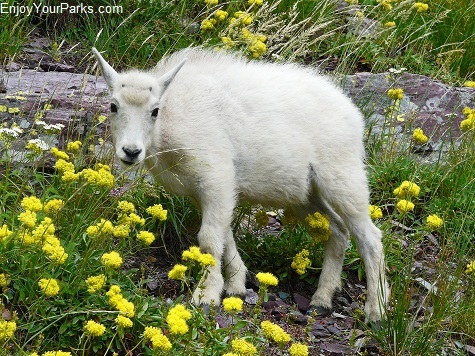 for your day hikes in Glacier National Park. 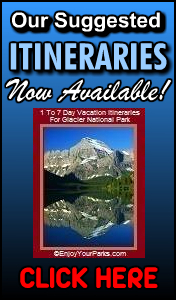 We also wrote an E-Book entitled "Suggested Itineraries for 1 to 7 Day Vacations in Glacier Park", which will be incredibly helpful as you begin planning your Glacier National Park Vacation! 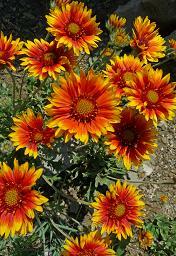 To see all of our Informative E-Books, click here. 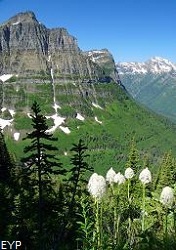 Highline Trail in Glacier National Park.